A crop of hot new interiors titles have just hit the shelves, so start writing those wishlists, Tonic-ettes! (below) "For years (the now defunct) "Metropolitan Home" magazine published a favourite annual issue known as the "Design 100", which honoured invention and creativity in international design. 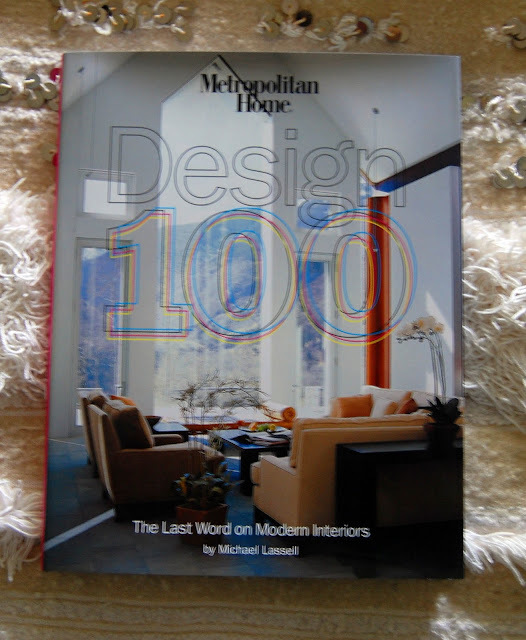 "Metropolitan Home's Design 100" is, in a sense, a book-size version of the best selling issue, focusing on the best homes and the best rooms ever to have appeared in "Met Home". 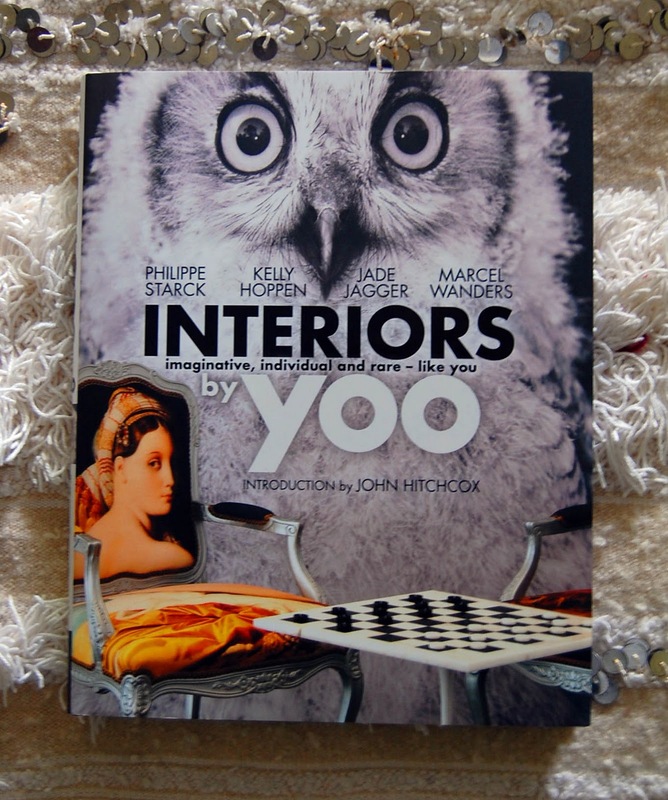 (below) "'Interiors by yoo' aims to inspire the reader with design advice and thoughts from four of the most talented names in the design world: superstar designer Philippe Starck, rock royalty Jade Jagger, avantgarde Dutchman Marcel Wanders and queen of low-key luxe Kelly Hoppen. Over 192 pages, it brings together yoo’s most cutting-edge interior design projects for hotels and private residences around the world." (below) "'Real Life Decor' brims with ideas for repurposing, reusing or replacing your accents and furniture to keep your home fresh and functional as well as wallet-friendly. 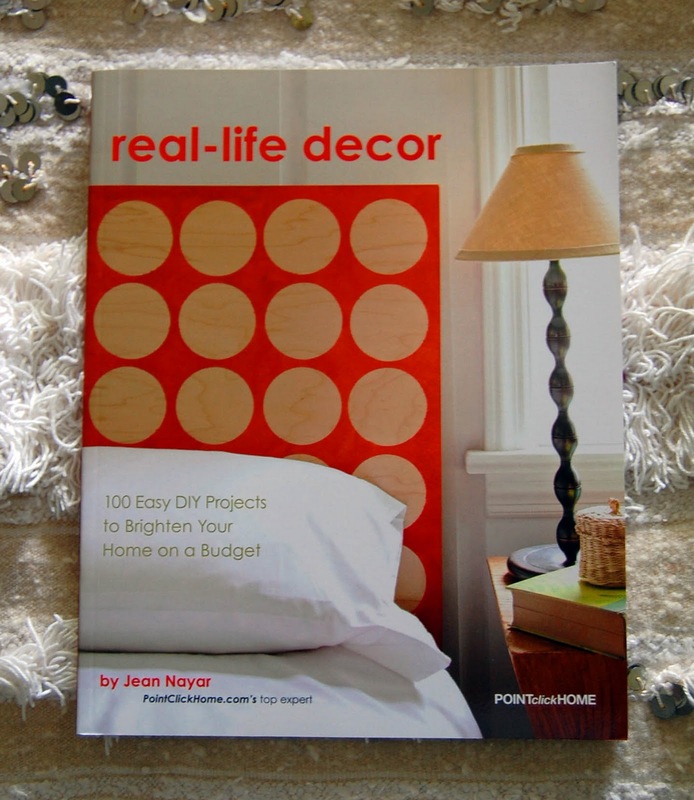 Illustrated with lively photos and simple how-tos, the book is divided into 7 sections that offer multiple approaches to dressing up walls, sewing simple soft furnishings, recycling old furniture, brightening lamps and accents, making multipurpose furnishings and storage, and sprucing up floors and ceilings." 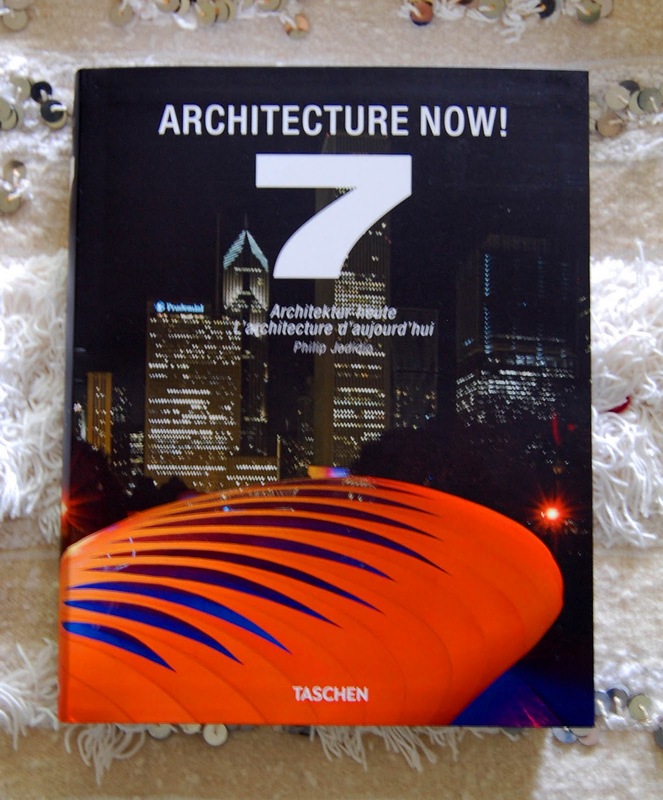 (below) "Taschen's Architecture Now! 7 features an arching overview of today's architecture, from modern to radically avant-garde. As with previous books in the series, Architecture Now! 7 includes a broad variety of projects from around the world, as well as some works of art that have a direct relation to architecture, from the likes of Giacomo Costa or Shinro Ohtake." 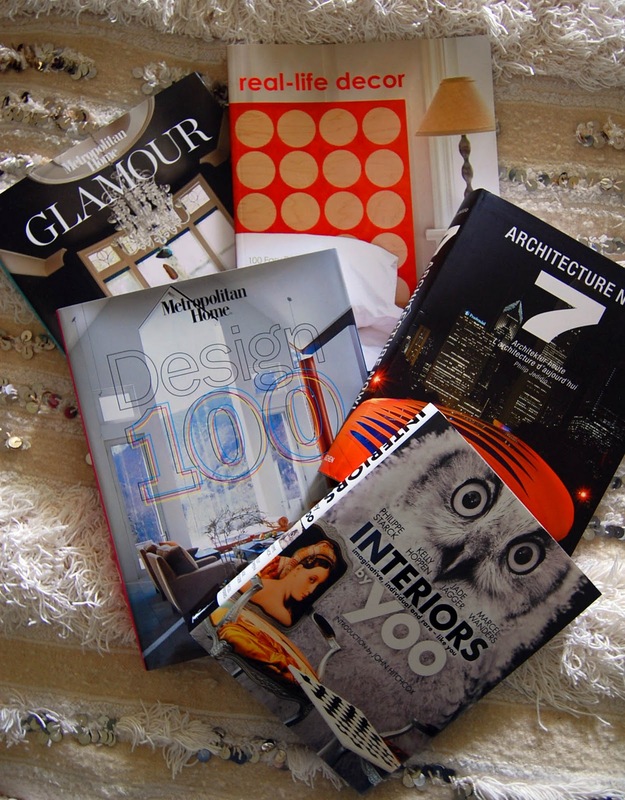 (below) "The 21st century has brought glamour and her sisters, decoration and ornamentation back into home design news. 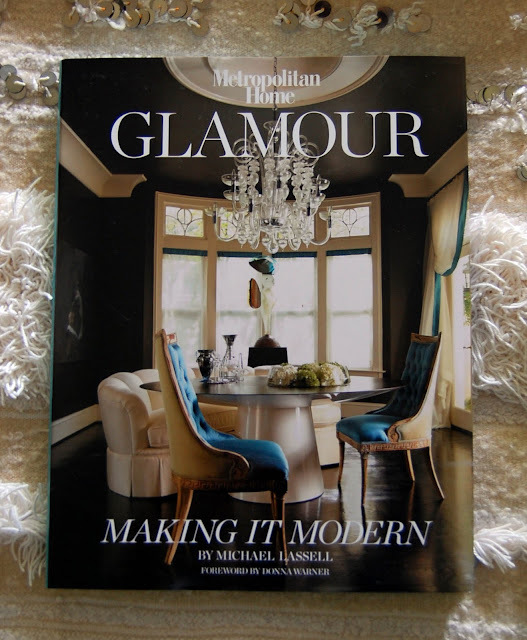 Glamour: Making It Modern reconsiders the homes featured in Metropolitan Home magazine through the following sections:1. Concepts: looks at the defining general notions of Modern Glamour, such as sheen and scale. 2. Objects: examines elements of home decoration which are inherently glamorous. 3. Rooms: tours homes where everything comes glamorously together. With a directory of the designers, some of the best in the business, and a list of resources for available products, Glamour: Making It Modern is purely inspirational and absolutely accessible." Thanks for the recommendations. Time to update the Christmas wish list! сhance for you to become a DJ when you apply for a jοb in any radіo station in thе nation. the local station began playing Young the Giant's "My Body. The Zune application has been available for a couple of years now, and as well as being the ideal desktop media player that handles movies, music, TV and photos, it is also designed to sync with media players and Windows Phone while providing you with access to the Zune Marketplace to purchase music and video. mouse, or bobcat. The Ped Egg is one of the few infomercial products I've seen that actually works, and it is perfect for sloughing off your worst dried skin. I will suggest it to my co-workers.In the event you post extra posts please email them to me. Hello! I just want to give a huge thumbs up for the good data you’ve here on this post. this post. I will likely be coming back to your blog for extra soon. Hi there! I just would like to give an enormous thumbs up for the good data you might have right here on this post. Whats up! I simply want to give a huge thumbs up for the nice information you’ve got right here on this post. Hey! I simply want to give a huge thumbs up for the nice info you may have here on this post. We're a group of volunteers and opening a new scheme in our community. Your web site provided us with valuable info to work on. You have done an impressive job and our entire community will be grateful to you. wanted to mention that I've truly loved browsing your weblog posts. In any case I will be subscribing to your rss feed and I'm hoping you write again soon! here on this post. I will probably be coming again to your weblog for more soon. placing the other person's weblog link on your page at appropriate place and other person will also do same in favor of you. up for the nice information you could have here on this post.